Learning by doing is something Community Boat Building takes seriously. 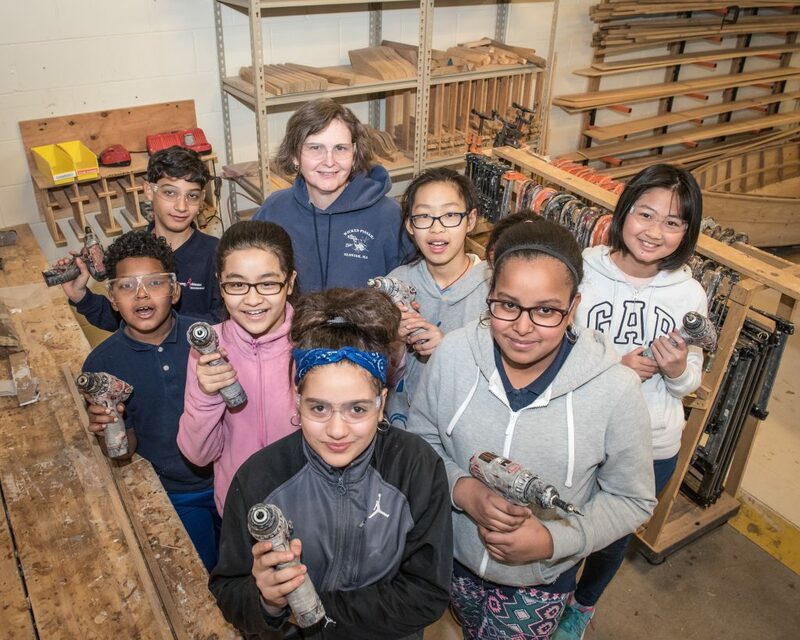 The 4th and 5th graders that are lucky enough to build boats with this Boston nonprofit learn geometry (among other STEM subjects) and also something about the seafaring history of their native town. All by building boats! It’s a remarkable program and Kars4Kids was thrilled to partner, in a small way, with CBB, by way of a small grant. We spoke to Development and Operations Manager for Community Boat Building, Kelly Crawford, to learn more. Kars4Kids: Why 4th and 5th graders? Is there something about this particular age that makes your program more valuable to the children you serve? Kelly Crawford: Students that are 10-11 years old are at a critical stage of their development. At this age they have developed the motor skills to physically work on a project of this scale. They are also just learning the math skills that will be the foundation of much of their education. By engaging students in our innovative model of academic intervention early in their academic career we are able to keep them engaged in learning and in turn yield greater academic outcomes. Kars4Kids: Are kids in the 4th and 5th grade really able to understand geometry? Kelly Crawford: Of course! Simple geometry is everywhere. Because our students have a tangible 3-D model in front of them, they are able to grasp concepts as advanced as the interaction between lines and arcs. Symmetry is a constant theme while boat building. All of the math concepts we teach directly relate to the hands-on work the students are doing. Kars4Kids: In how many Boston public schools do you operate? Kelly Crawford: We work with two partner schools within the Boston Public School System, the Harvard Kent in Charlestown and the Young Achievers School in Mattapan. Both schools were chosen because they have a high percentage of economically disadvantaged and high needs students. CBB has also spawned an independent program that operates at the Haley School in Roslindale. 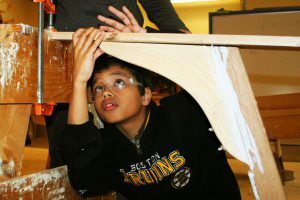 Kars4Kids: You have several components to your Boston Public School (BPS) program: boat building, oral history, marine science research, swimming and rowing. What would you say is the most popular part of this program, and why? Kelly Crawford: The boat building project is the core of our program and has the largest amount of time devoted to it. We then use that experience to drive additional learning through a maritime history project, swimming and rowing lessons, a team-building sailing experience aboard the historic schooner Roseway and inquiry-based marine science, which are all important but shorter learning segments. Over two years of programming, these learning components build on one another to make learning compelling while reinforcing math, science, reading, writing and teamwork skills. Kars4Kids: How does your summer program differ from your public school program? Kelly Crawford: Our school year program is devoted to working with at-risk youth in the Boston Public School System. This program is offered during the school day in partnership with two partner schools. Every student from both partner schools will go through our program at no cost to the student and for this program we always build a row boat. Our summer program is open to the public on a fee-for-service model. Any student between the ages of 7 and 14 can sign up. Each week is centered on a different building project with additional time allocated for games and rowing. 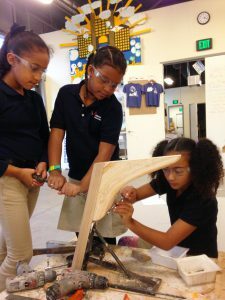 This summer we will be offering 4 exciting weeks of programming with some really fun projects like automated wooden robots. Proceeds from the summer program help to support our school year program. Details for 2018 summer programming will be released at the end of December. Kars4Kids: In ten years, you’ve helped some 1,000 youngsters build boats. What do you think they took away from this experience? Kelly Crawford: The primary goal of our program is to show young students the relevance of their classroom education through engaging hands-on subject matter. By showing students that they can use fractions, addition, subtraction, multiplication and division to build something as practical and fun as a row boat we can reignite an interest in learning. Kars4Kids: The idea of selling the boats created by the kids in your programs is brilliant. It’s a way to generate income so more kids can partake of what you have to offer. How many boats have you sold through the years? Are people nervous about buying a boat made by a 5th grader?? Kelly Crawford: We’ve built and sold over 130 boats over the past 10 years! 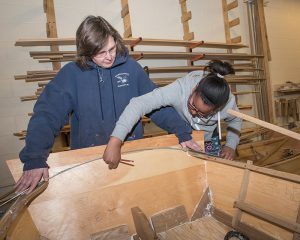 Boats are built by students in small groups under the close supervision of a CBB boatbuilding teacher. When the students are finished we have a group of dedicated volunteers put the finishing touches on the boats, then sand and paint them. Every boat that leaves our workshop is launched and rowed by CBB students before it is sold. This system ensures that everything available for purchase is seaworthy and ready for a life on the water. 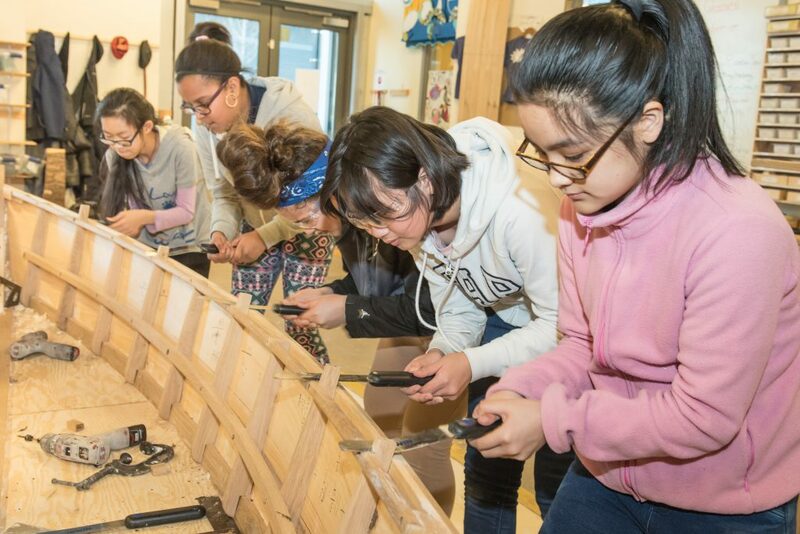 Kars4Kids: What’s next for Community Boat Building? Kelly Crawford: The populations at our two partner schools have grown over the past several years and CBB has been able to match this growth, serving increasing numbers of students each year. In the future, we hope to work with additional schools and bring our model of experiential education to larger numbers of students.